Today we review the Amazon Prime Rewards Visa Signature Card. For those who frequently buy from Amazon, it’s hands down the best rewards card available. As you’ll see, you can earn up to 5% cash back with no annual fee. 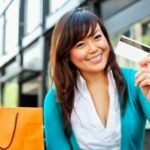 Every month I spend a few minutes reviewing the monthly credit card purchases my wife and I make. Seventy-five percent of that time is invested in looking at our Amazon transactions. It seems like we have a couple Amazon boxes delivered to us by our postal carrier every day. By the end of the month, we’ve accumulated a few pages’ worth of Amazon statements. Luckily for us, Chase has launched a new credit card specifically designed for people like me–those addicted to online Amazon shopping. 5% cash back at Amazon on all purchases. First, let me be blunt about the value of the Amazon Prime Rewards Visa Signature Card. It comes from shopping at Amazon.com, nothing more. There are better cash back percentages out there for your everyday spending, including the 2% offered at gas stations, drugstores, and restaurants (the Blue Cash Preferred Card® from American Express is a good start). And while the $70 up front Amazon gift card is nice, a few other cards on the market today offer much better up-front bonuses. For example, the Barclaycard CashForward™ World Mastercard® opens with a $200 bonus for new cardmembers. The standard purchase and balance transfer APR is 15.24% – 23.24% variable, and the cash advance APR is 25.74% variable. 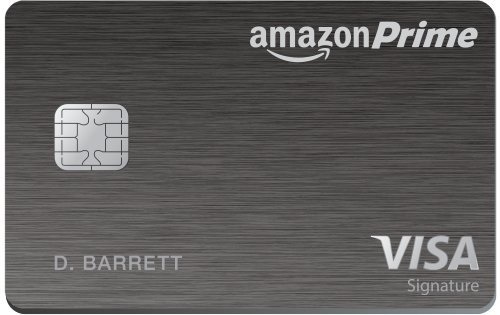 There are over-limit and late payment fees of up to $37, and there are no balance transfer promos associated with the Amazon Prime Rewards Visa Signature Card. The balance transfer fee is $5 or 5% of the transfer, whichever is greater. So it definitely has some drawbacks. But if you’re a frequent Amazon Prime shopper, read on. How much can you save by owning this credit card? Let me do my best to apply my family’s personal spending habits and how much we hope to save annually by using the card for every purchase we make on Amazon. Every month, my wife and I attempt to budget $400 in spending at Amazon. We buy just about everything other than groceries at Amazon. And we have a Siberian husky and two kids, a 3-year old and a 6-month old, to take care of. That means dog food, diapers, toys, books, and a variety of cleaners and gadgets that keep the smells in this house pleasant. When you factor in the occasional gift or tech gadget, we’re usually well past our $400 budget target. In 2016, we spent a total of $6,293 at Amazon.com. Had we had access to the Amazon Prime Rewards Visa Signature Card, our cash back savings would have been $314.65. Instead, we used our Citi DoubleCash Card for nine months of the year, which earned 2% cash back. Then we used our Chase Freedom Visa, which earned 5% cash back, in the fourth quarter. In total, our cash back savings in 2016 on Amazon.com purchases was $167.35. In other words, we missed out on a savings of $147.30. Editors Note – If you are not a member of Amazon Prime, your cash back savings at Amazon.com using the Amazon Prime Rewards Visa Signature Card is 3%. Are there families that spend more than we do at Amazon who will be able to save even more? Yes, but the majority of people likely won’t be spending as much, so the savings won’t be as large. Even so, consider that Amazon is still a growing company, looking to expand into other verticals on a daily basis. Prime members saving on groceries today could be saving on auto parts, medicine, and a host of other products tomorrow if and when Amazon opens more marketplaces. Our $6,000 Amazon annual spending amount could continue to grow, too. Owning the Amazon Prime Rewards Visa Signature Card and its 5% cash back rate at Amazon is a must for our family. Even for the casual Prime Amazon spender, there’s little harm and good benefit to owning this card, applying it to your Amazon account, and earning the high rewards rebate. 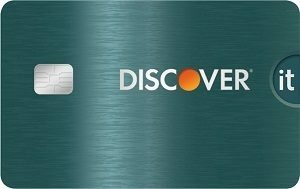 Alternative Option – The Discover it 18-Month Balance Transfer Offer gives cardholders a 5% cash back rewards rate on all Amazon.com purchases in the fourth quarter of 2017, and Discover will double the cash back earned in the first full year of card ownership. This means cardholders will earn 10% cash back on Amazon purchases (up to $1,500 spent) for three full months–just in time for holiday shopping!